The objective was to update the Alpha Iota chapter of Kappa Alpha Order‘s online presence in order to raise awareness of the fraternity. 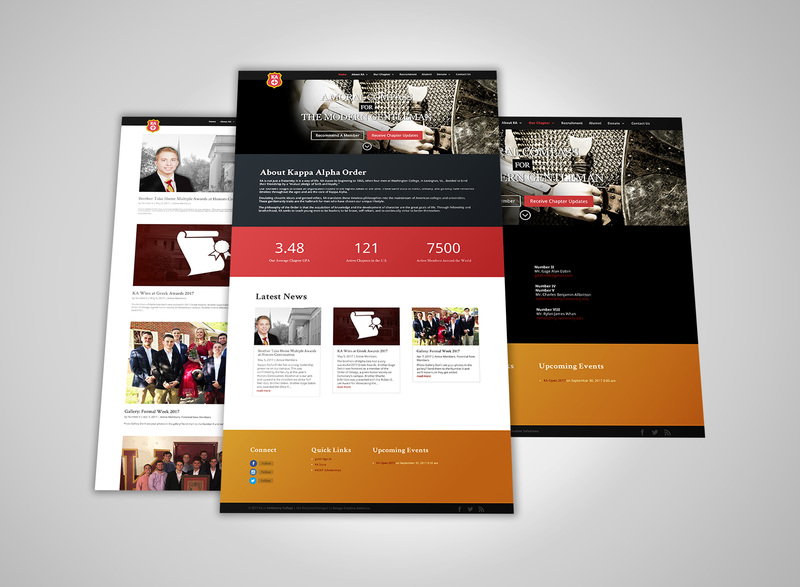 We started by building a responsive web design that displayed the values of the fraternity. We then implemented a blog that showcases the latest news and events. SCS also manages their email marketing by distributing their newsletter, The Knightly News, to alumni and friends of The Order. We also manage their Facebook page, designing and creating content for social media. Most recently, we designed the logo for their yearly golf tournament, the KA Open. Savage Creative Solutions has been a huge asset to the growth of our social media presence for my fraternity. Through handwork and diligence Mr. Savage was able to create a custom web presence for us that has been able to reach out and stand out to more people than we could ever of had before. The work he has accomplished for us has sparked many others to try to to emulate the platform of excellence he has built, but he stands alone. Our chapter and myself are grateful for the constant work he puts in to elevate our group on social media outlets. I highly recommend anyone who wants to elevate their social media game to contact Savage Creative Solutions.